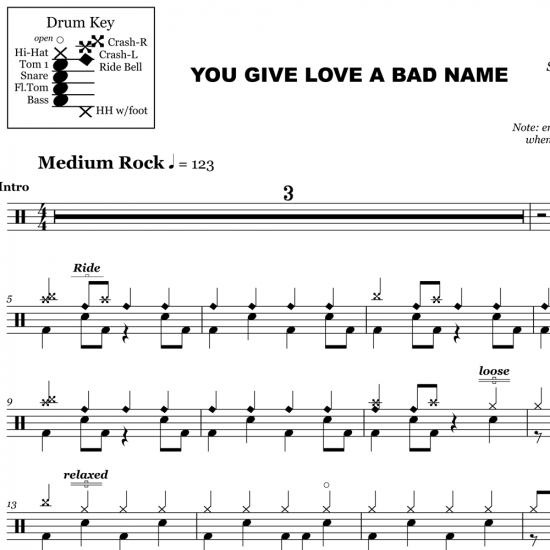 The full drum sheet music for “You Give Love a Bad Name” by Bon Jovi from the album Slippery When Wet (1986). 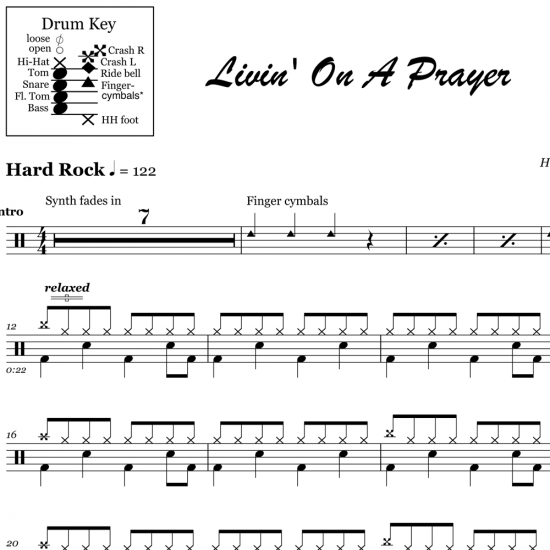 Tico Torres blends driving ride bell quarters with crash accents throughout the intro, choruses and outro — a great example of using the crash cymbal to embellish the song. 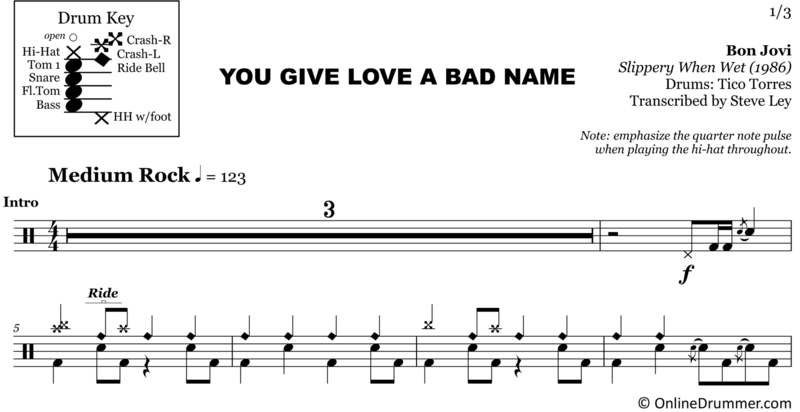 Basic 8th note patterns, open-hat embellishments and simple but important drum fills are played throughout the verses and pre-choruses. Torres’ drum part is a great piece for beginner or intermediate level players who’d like to develop dexterity and creative techniques. You Give Love a Bad Name peaked at #1 in the US Billboard Hot 100 and within the top 40 internationally between 1986 and 1987, landing this song’s place as an 80s classic. 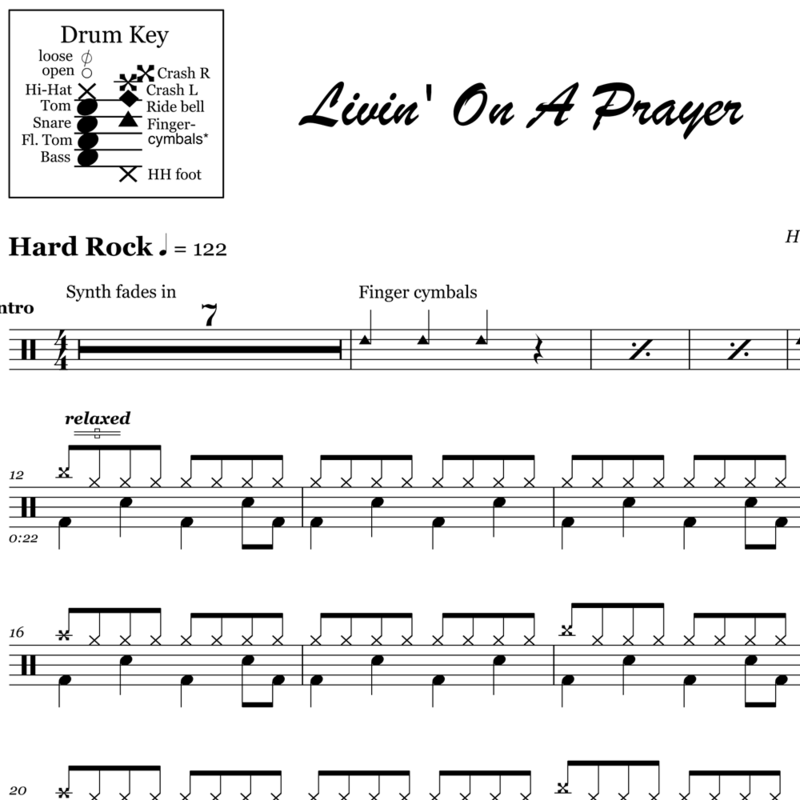 The full drum sheet music for "Livin' on a Prayer" by Bon Jovi from the album Slippery When Wet (1986).